A garbage truck driver died after he was struck by his own Gree Waste garbage truck in San Jose Friday morning, police say. 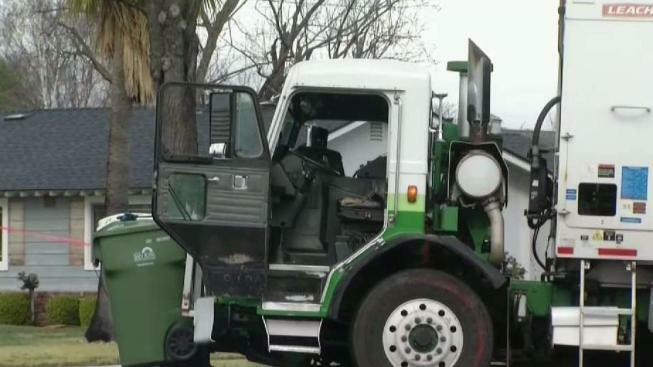 A garbage truck driver died after he was struck by his own Green Waste garbage truck in San Jose Friday morning, police say. San Jose Police officers responded to a vehicle collision on Camden Avenue at El Paseo Drive around 7:55 a.m. and discovered the body of an adult male driver on the scene. The Traffic Investigation Unit is conducting the investigation.